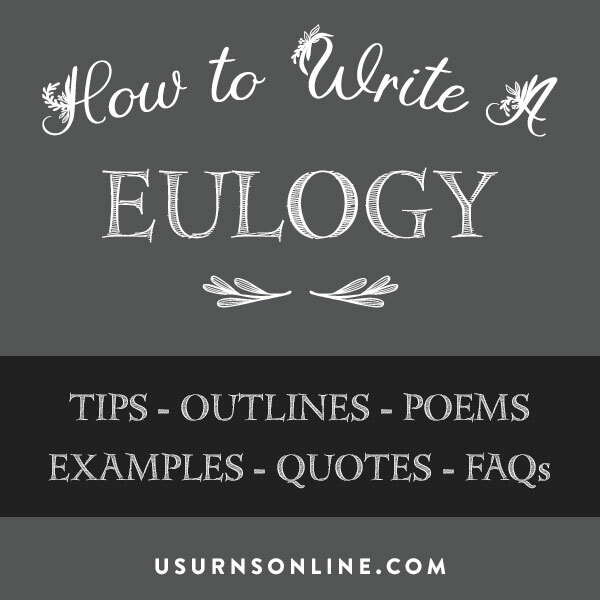 Here is our guide on how to write a eulogy that is beautiful, brief, appropriate, and winsome. Eulogies should be brief, poignant, and summarize the individual’s life without going into every detail. A good eulogy should admit the person’s faults but typically focus on their strengths. Be sure to mention their major accomplishments (personal and vocational), spouse and children (if any), hobbies, passions, religion, and volunteer work. Write it out beforehand, and practice reading it aloud to make sure the sentences flow. Practice in front of a mirror or a family member, and time yourself. Start with a favorite story or memory, and connect that to one of the person’s defining characteristics. Or, alternatively, do the reverse: think of their most important attributes and then think of memories or quotes which illustrate that attributes you want to highlight. 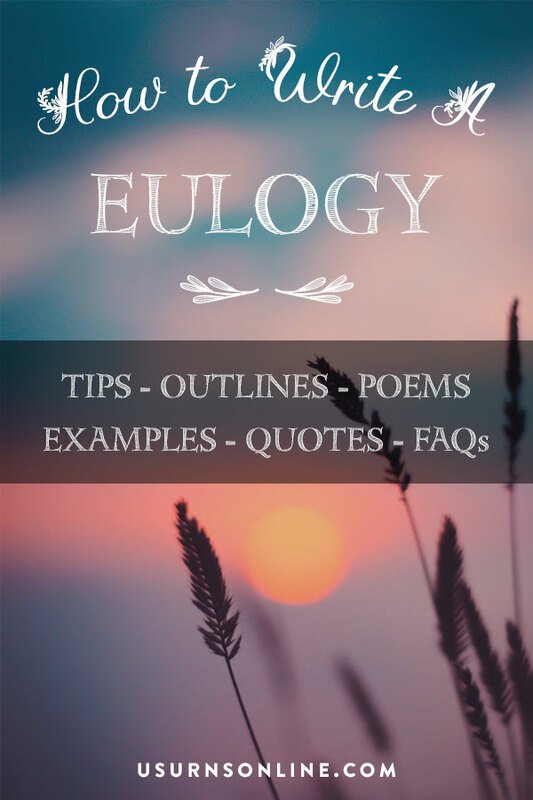 This simple process will give you at least half of your material; from there, just find a good eulogy outline (see below) and begin filling it in. 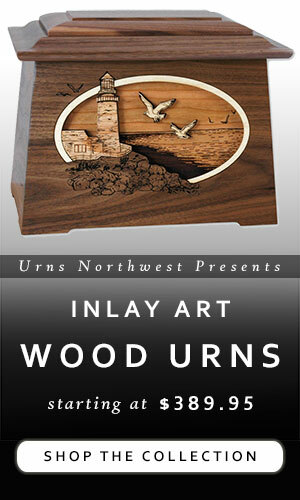 There is no set or traditional outline for a eulogy. But as with all writing a public speaking, it is good to have an attention-grabbing opening, a solid middle section in three parts, and some concluding remarks. This is the traditional three-point outline you learned in school, and it will serve you well in writing a eulogy. Here are five beautiful, meaningful, and classic poems to use in your eulogy. You can find many more in our collection of 101 Funeral Poems. And they shall cheer and comfort me. Nothing destroyed that Thou hast done. Find more funeral and eulogy poems here. A memorable eulogy will often center around a good quote. Below are five of our favorites. You can find more in our collection of 20 Funeral Quotes for a Loved One’s Eulogy. There are many eulogy examples available on the web. 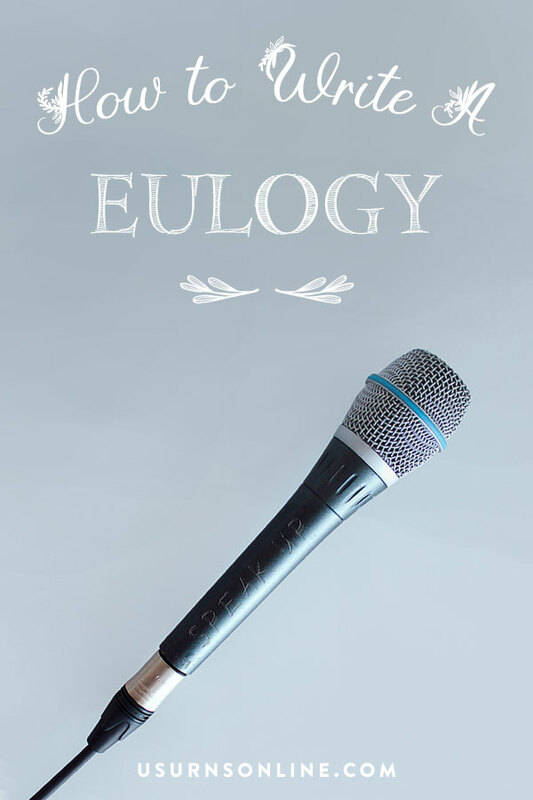 I think you’ll find the best inspiration on writing a eulogy by looking at a few general examples and then also reading a few famous and timeless eulogy examples. WHO SHOULD DELIVER THE EULOGY? Anyone can deliver a eulogy. It is ideal to choose someone who was personally close to the decedent. Often eulogies are given by family members or friends. This can be a spouse, parent, child, sibling, close cousin or other relative, a pastor, or a good friend. For some close relatives (spouses, parents, or children) the pain is very raw and they may have difficulty composing or delivering a eulogy. It is perfectly acceptable for the closest family members to ask someone else to give the eulogy. If you are asked to deliver a eulogy, you should be honored. 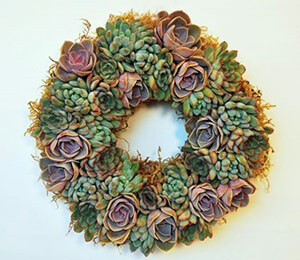 It is a sign of your close relationship with the deceased and the high regard in which you are held by the family. CAN THERE BE MORE THAN ONE EULOGY? Yes. Often there are two eulogies given, one by a family member and another by a friend. 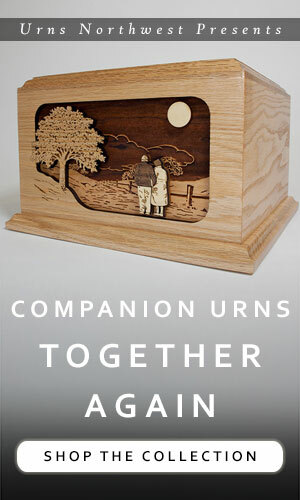 This gives two different perspectives on the deceased’s life and can greatly enhance the funeral service. One eulogy is very common. You can do three or more eulogies, but if so it is imperative that the speakers be brief; three to four minutes minutes maximum. HOW LONG SHOULD A EULOGY BE? A good length for a eulogy is about three to seven minutes, but no more than ten. If there are two or more eulogies, try to keep each one at five minutes or less. Or choose one to be the longer “main” eulogy at 5-7 minutes and the others no more than three minutes. Ultimately, it’s up to you, but these are good guidelines to ensure that the audience remains engaged. HOW MANY WORDS SHOULD A EULOGY BE? The written eulogy should be at least 500 words. A good range to aim for is 750-1000 words. No more than 1200; if you go that high, make sure you read it at a good clip otherwise you are in danger of going over 10 minutes. DO I NEED TO MENTION ALL THEIR PERSONAL DETAILS? Many eulogies do mention important personal details such as family, vocation, and special accomplishments. 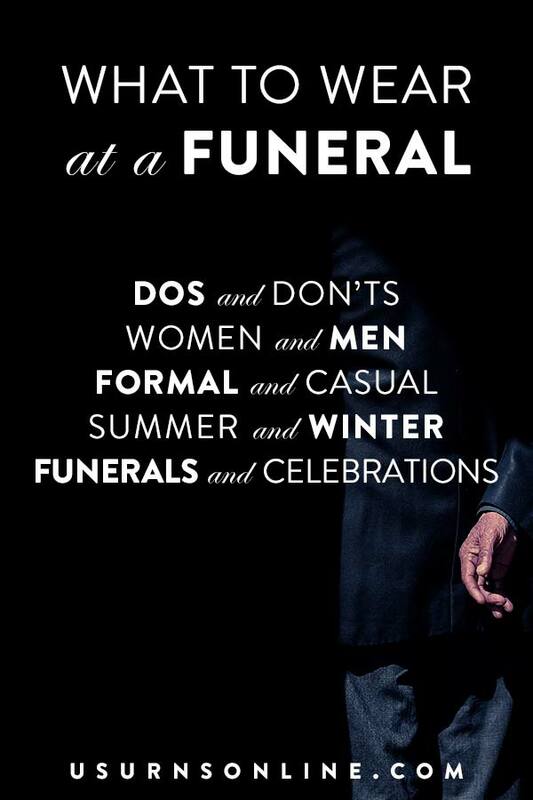 But you don’t have to, as most people attending the funeral will be aware of these. IS IT OK TO SHARE A FUNNY STORY? Humor is entirely appropriate. Stay away from awkward or embarrassing moments, off-color jokes, and foul language. There will be a wide variety of people in attendance and you do not want to needlessly offend. Aside from that, keep in mind that life is funny. People are funny. Funerals are mostly serious, so a few appropriately humorous stories and anecdotes can help tremendously to lighten the mood. CAN I SING OR PLAY A SONG? Certainly, but first clear it with the officiant, the family, and whoever is arranging the funeral. 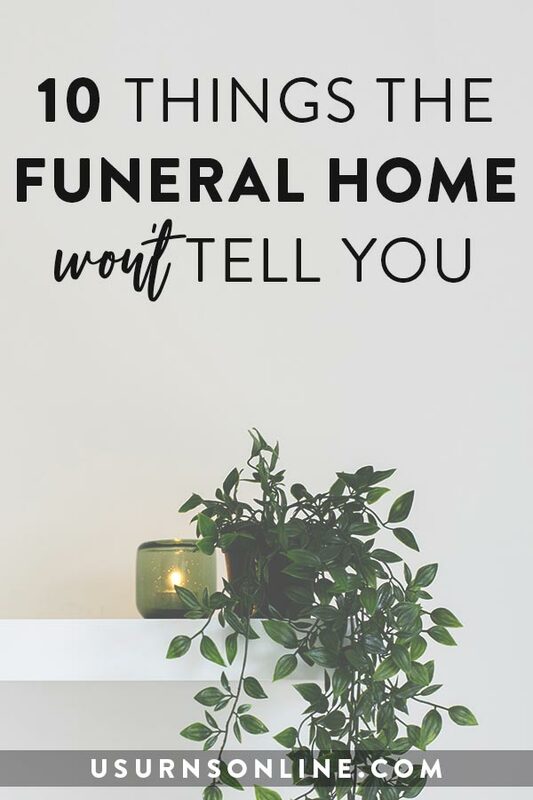 Considering a funeral at home? Start here.